Spring is officially here, and if you’re like many Bee Cave residents, then you might be sniffling, coughing, and sneezing more than usual. Spring is a beautiful time of the year, but unfortunately, it’s also when many people begin to suffer from seasonal allergies. In today’s post, we’ll provide you with a few tips that can help you make it through allergy season. If you need a primary care physician in Bee Cave, then come to Hill Family Medicine for an appointment. Our compassionate and dedicated doctors are ready to help you and your family feel your best! Pollen counts peak on windy days, especially in the morning and early afternoon. Most people are unable to stay indoors throughout the day, but if you notice that it’s particularly windy outside, then do your best to wait until the wind dies down before venturing out. 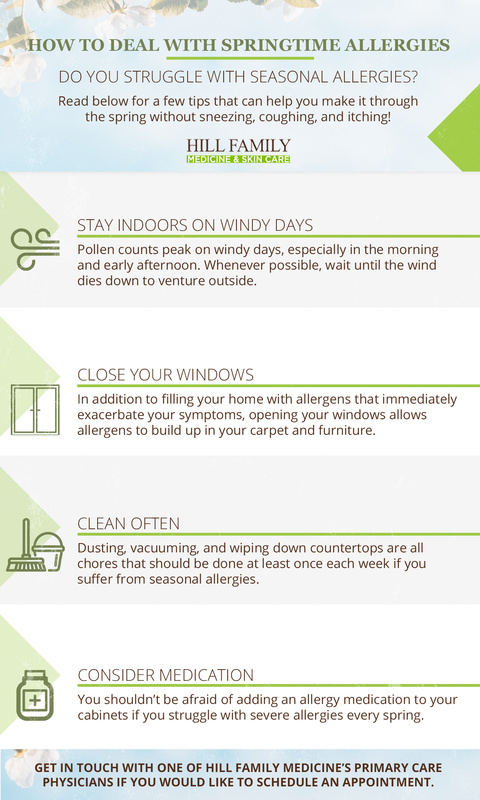 There’s nothing quite like letting the spring air fill your home, but if you have allergies, then you may want to switch the air conditioner on instead of cracking a window. In addition to filling your home with allergens that immediately exacerbate your symptoms, allergens can build up in your carpet and furniture and continue to make your allergies worse after you’ve closed your windows. Whether or not you have allergies, regular cleaning is an essential part of maintaining your living space. Dusting, vacuuming, and wiping down your countertops are all chores that should be done at least once each week, and you may want to clean more frequently if you suffer from seasonal allergies. As we noted in the previous section, allergens can fill your home and build up in your carpet and various fabrics. If it’s been a while since you last cleaned your home, then you may want to delegate the task to someone else to avoid breathing up dust and allergens that have accumulated. For those who live alone, investing in disposable dust masks may be the best way to minimize the effects of allergen accumulation. As primary care physicians, we know that most people don’t like taking medication unless they absolutely have to. While the decision is ultimately up to you, you shouldn’t be afraid of adding an allergy medication to your cabinets if you struggle with severe allergies every spring. We can discuss your personal circumstances and determine if you need to stay on the medication throughout the year, or if you could simply take the medication each spring until the allergen concentration declines. We hope that today’s post will help you make it through allergy season without discomfort. Keep an eye on our blog page, as we’ll continue to add even more helpful resources in the coming weeks and months. 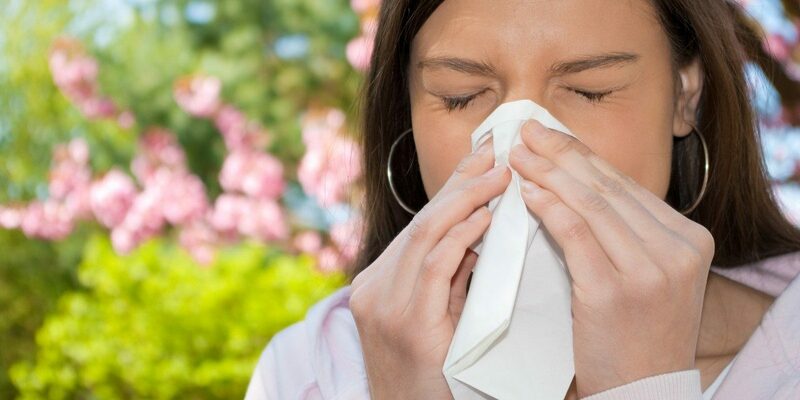 We know how uncomfortable it can be to struggle with seasonal allergies, so please get in touch with one of our primary care physicians if you would like to schedule an appointment.